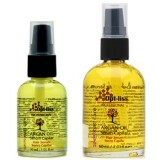 Check out the professional product line Opt-liss, which meet the highest quality concepts for women’s hair. Opt-Liss is a Brazilian national company, created in 2009 with the mission to enhance the beauty of female hair, developing professional cosmetic products that meet´s the highest criteria and quality expected concepts for woman´s hair, fell free to choose your beauty. We Opt-Liss distributors located throughout the world. Our area now covers Central and South America, Europe and Middle East.